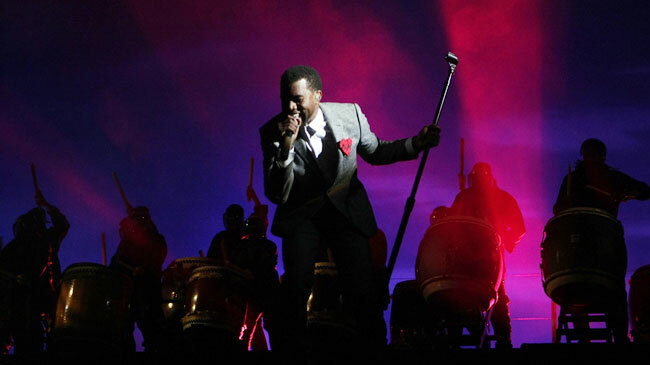 Kishin Daiko & Kanye West! 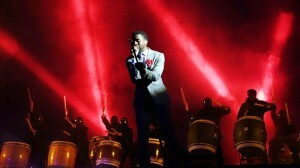 Images from the 2008 MTV Video Music Awards. 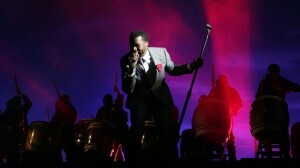 Some members of Kishin Daiko as well as Zendeko was performing with Kanye West as he debuts his new song “Love Lockdown”. KishinDaiko.com finally has a new look! We have moved to a blog-style site which will provide you with more frequent updates. A lot has happened in the past month, performances with Kanye West, VMAs, Ellen DeGeneres Show, and a good amount of us went to Hawaii for a Wedding/Vacation.